Last week I introduced you all to one of my sponsors (that I love! ), Thymes Home Fragrances. I would love to share all the wonderful goodies that they sent me with you! 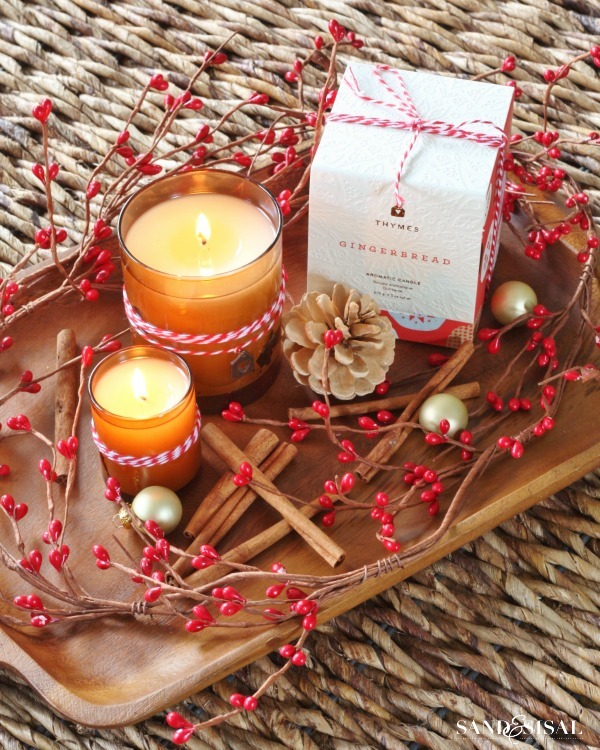 I have 2 awesome Holiday Fragrance Gift Packages to giveaway! Two winners will be chosen. 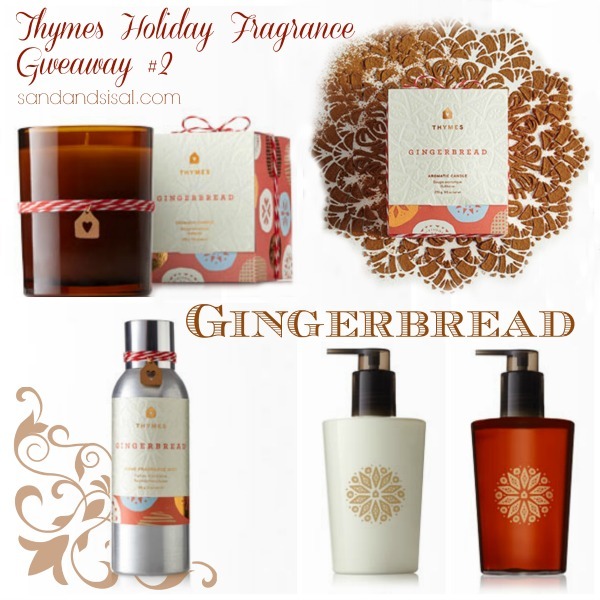 To enter the giveaway: simply CLICK the picture below to visit Thymes.com and tell me in the comments below which fragrance (IN ADDITION to Gingerbread) you would love to experience and have! That’s all there is to it! TWO eligible giveaway winners will be chosen at random and the Giveaway ends at midnight (eastern time) on December 1st. Open to all USA residents only, void where prohibited. Would love to try Olive Leaf! The Woodland Violet Mint sounds lovely. I would like to try the Fig Leaf and Cassis. Frasier Fur by far!!!! 🙂 I live in Florida, and we do not have Evergreens like up north. I so miss the smell! oooh, Fiddlehead Fern & Crabapple sounds amazing!! I would love to try their Citrus Bright Effervescence scent! I am a sucker for fresh citrus scents! Yum! Ooo I want all of them, but if I have to pick….it would be Green Tea. I want to try the frasier fir scent. Definitely the Frasier Fir! Thank you for the great giveaway! I would love to try the Frasier. 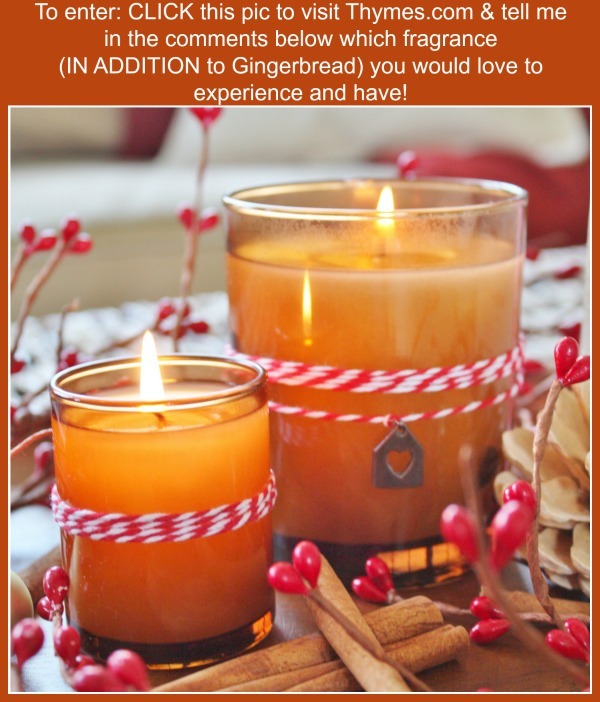 The Gingerbread would be my absolute favorite, but I would also love to try Aqua Coralline for a beachy fresh scent. Kimono Rose sounds wonderful! Thanks for offering this great giveaway! I would love to try the Mandarin Coriander. I would love to try the Frazier fir. I would love to try Frazier Fir for the Holidays. Especially since I no longer purchase live Christmas Trees. In addition to Gingerbread, I would love to try Frasier Fir! Thank you so much for the opportunity to enter the giveaway. Thanks for offering such a nice giveaway! I’d love to try the “Crisp Siberian Fir Needles.” I never tire of the fresh up north woodsy aroma, no matter what time of year it is! For this time of year the Frasier Fir sounds perfect! I think bitter orange and cedar sound delightful along with the Gingerbread. Frazier fir would be my choice – perfect for this season of holiday cheer. This time of year the Frazier Fir would smell amazing. Fraiser Fir for sure. I can’t think of a better frangrance to go along with the Gingerbread right now! I’d like the Fraiser Fir, but Gingerbread would be first on my list! Divine giveaway! Aqua Corraline sounds beachy and beautiful as do about 20 others! =) Thanks for the chance. I would love to try Lavender and Goldleaf! Sounds very relaxing!! I would love to try the Brandied Pumpkin and Chestnut scent. Sounds like a wonderful Holiday fragrance! Thank You! Azur sounds intriguing:) Might remind me of the beach even around Christmas! For this time of year, I think the Frasier Fir. But they all sound wonderful. The Lavender sounds awesome to me! Good luck to all. The Woodland Violet Mint sounds so delish. I would love a chance to share the fragrance with my mom and sister. Wonderful giveaway! I’ve heard nothing but good things about Thymes, so I’m sure it’s all amazing, but Frasier Fir for this time of year, or maybe Mandarin Coriander for after the holidays! It would have to be Mandarin Coriander! Just sounds light and fresh to me. I would love to have the Bitter Orange and Woodland Violet Mint. How nice of you!! Frasier Fur! Please let me win this!!!!!! I LOVE for the house to smell good during holidays!!!!!!!!!!!! So many wonderful fragrances! for the holidays Frasier fir would be lovely. The mandarin coriander or bitter orange and cedar both sound divine, as well. What a wonderful giveaway. Happy Thanksgiving! Gingerbread of course, and then cinnamon. Yum! Bitter orange and cedar sounds amazing. That is definitely the first one I would love to try along with gingerbread. Have a wonderful Thanksgiving. Oh, my goodness the Frasier Fir for holiday scents throughout the house!!! I want one of everything they make in FF. It makes the housed smell like it is filled with fresh evergreens! What a delightful aroma!!! Gingerbread and cinnamon, what a great combination! Violet Mint sounds delicious to me ….. I think Aqua Coralline sounds soothing. Thanks to you and all for making someone’s day! Thanksgiving to all and Merriest Christmas blessings! I would love the mandarin coriander! I’d love to try the relaxing sandalwood! Thank you for the chance to win! All of the fragrances sound awesome! I’d love to experience the Brandied Pumpkin & Chestnut fragrance (I love food fragrances!). Fraser fir would be perfect for this time of year! The Ginger Bread; the Frasier Fir Pine Needle Candle; Black Current and Birchwood…too many to name…they all sound incredible! Thank you! 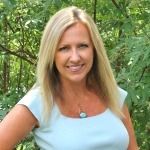 What beautiful candles and interesting scents; I enjoyed going through the list. I think I would like to have the BLACK CURRANT & BIRCHWOOD CANDLE. Hi Kim, The Lavender sounds wonderful. I would love to try Frasier Fir. Would like to try birchwood candle. Fraser fir seems interesting to try. I’d love to try Agave Nectar! I love love Woodfire and of course gingerbread!